Huntington visitors can see the artist at his hallucinogenic best in this new exhibition, featuring six monumental illustrated books, each opening to more than four feet in width, contain 65 paintings by the artist. They draw from a variety of aesthetic traditions, ranging from decorative art and design to advertising and folk art. The impact of the books is further elevated by an installation conceived by award-winning Los Angeles architect Michael Maltzan. Grand, sculptural pedestals hold the books open so visitors can enjoy a direct, unimpeded experience. 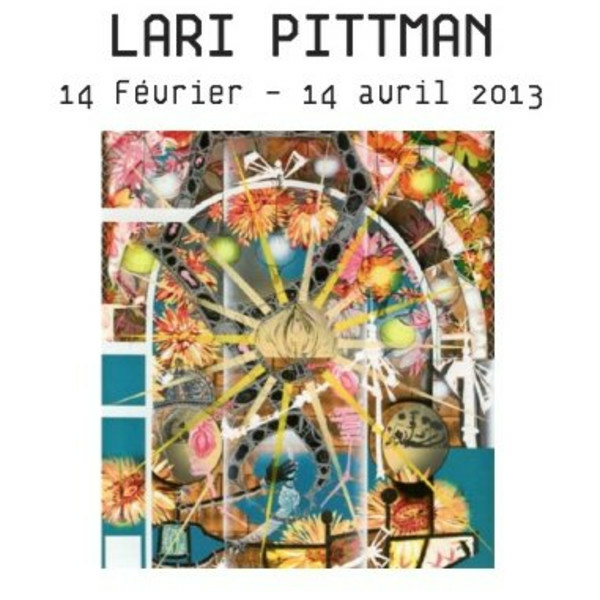 CAM is proud to present the first American solo museum exhibition of Los Angeles-based artist Lari Pittman in more than 15 years. Over the past three decades, Pittman has developed a body of work that is internationally celebrated for its exuberant use of color and painstakingly rendered detail to address such contentious subjects as sexuality, desire, and violence. 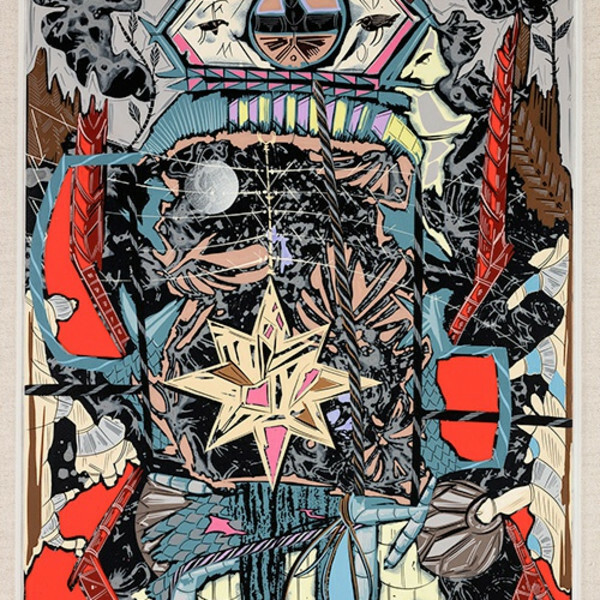 His multilayered depictions of images and signs-ranging from human figures and body parts to animals, plants, furniture, text, and even credit cards-meditates on the overwhelming richness and sadness of everyday life. Pittman's primarily large-scale paintings combine a visual breathlessness with a highly acute and sophisticated formal logic. In recent years, his work has expanded in palette and also become more thematically oblique, exchanging the signature graphic imagery of his earlier paintings for greater visual density and a renewed concern for issues ranging from art history to the domestic sphere. Embracing the critical potential of figurative painting, Pittman provides incisive commentary on the medium's ability to intertwine the personal with the political. CAM's exhibition will feature a selection of paintings and works on paper from the last 20 years and will be accompanied by a fully illustrated catalog. 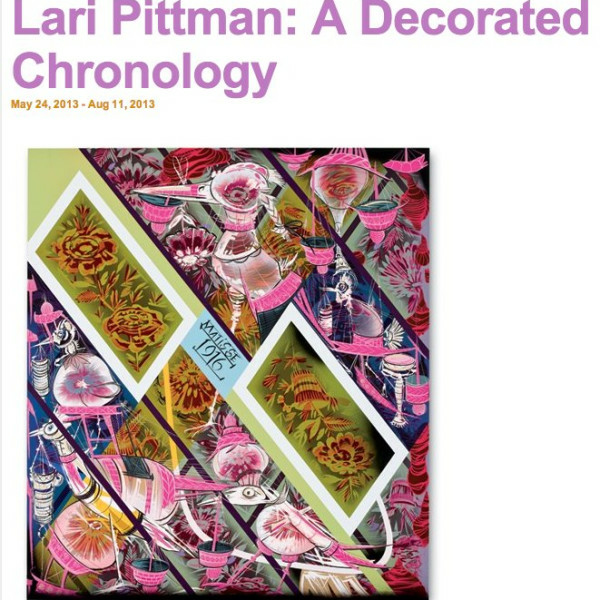 Lari Pittman: A Decorated Chronology is organized by the Contemporary Art Museum St. Louis and curated by Kelly Shindler, Assistant Curator.